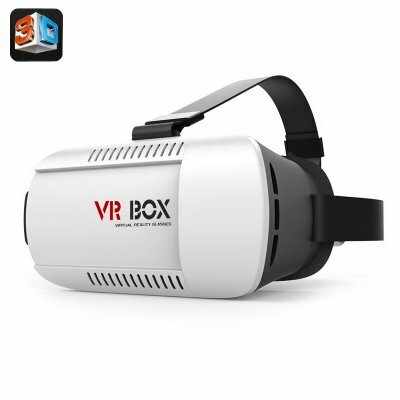 Successfully Added HK Warehouse VR BOX 3D Video Glasses - For 4.7 To 6 Inch IOS and Android Smartphone, Adjustable Interpupillary Distance + Focus to your Shopping Cart. VR Glasses letting you experience the incredible world of 3D with the power of your phone. This VR headset is suitable for phones measuring from 4.7 to 6 inches so its suitable for most Smartphones. With a plastic frame and resin lenses the VR Box virtual reality headset is light and durable. The thick padding ensures its comfy to wear and because the focal depth and interpupillary distance can be adjusted this headset fits just about every persons head shape and size and is suitable for people with different vision so even if you normally need glasses the headset should still fit you well. The slid fitting phone tray makes it quick and easy to install or remove your phone while cut out slots at the side let you use the headset with headphones plugged into your phone as you will have reasonable access to either side of your device. For use with iOS and Android phones such as iPhone, Samsung, LG, HTC, Huawei and many more. Just go to your app store and search for apps and games suitable for use with VR headsets such as the Google cardboard, alternatively search for 3D side by side videos to enjoy the full cinematic experience, any time anywhere with your very own portable 3D cinema. These 3D VR Glasses come with a 12 months warranty, brought to you by the leader in electronic devices as well as wholesale 3D Video Glasses..